Participants are free to decide how many days they want to walk and which distance on each of these days. That might be different each day. MWV offers routes with three standard distances: 10, 20 and 30 kilometres. Participants can chose one of these distances, but they may also make combinations, for instance 10 and 30 to walk a total of 40 kilometres. They can vary their combination each day or pick one of the (other) standard distances. Walkers have complete freedom of choice. This flexibility makes the MWV the ideal practice event for the four-day marches in Apeldoorn or Nijmegen, or for one of the many Kennedy marches. But the MWV is also attractive to everyone who just wants to walk 10 or 20 kilometres at a leisurely pace. The MWV is for everyone who loves walking, for people of all ages, and for beginners as well as advanced and experienced walkers. New: On Sunday 2 June, the program includes an additional walking tour of 5 kilometres. This distance is particularly suitable for families with children. The registration office is situated in the tent at the Schouwburgplein in Venray. It is open from 7 a.m. It is possible to register here. But all walkers, including those who have already registered in advance, must visit the registration office to have their digital ticket scanned or to receive their entry confirmation. Walkers for 40, 50 and 60 kilometres start between 7 and 8 a.m.
Walkers for 10, 20 and 30 kilometres start between 8 and 11 a.m. The registration office closes at 6.30 p.m.
After finishing, walkers sign off at the registration office, where they can collect a stamp in their booklet. Also, they will receive a commemorative pin for completing the distance they registered for, though this does not apply to the 5-kilometre route. The entry fee at preregistration is €6 for one walking day, €12 for two days, and €18 for all three days. Preregistration ends Sunday, 26 May at 12 midnight. Registration during the event on 31 May, 1 and 2 June is also possible at the registration office, with the entry fee being €8 for one walking day, €16 for two days, and €24 for all three days. Therefore it is cheaper and more convenient to register online. Payments at the registration office can only be made in cash; no (credit) card payments are possible on the day of the event. Walkers for the 5-kilometre distance can purchase a ‘family card,’ which is valid for up to six walkers. The price of a family card is €6. Participants walking the 5-kilometre route will not receive a commemorative pin or a fabric badge. Organisers will donate 25% of all entry fees to charity: Stichting ALS Nederland. Start and finish (Schouwburgplein) are located right in the centre of Venray. On Sunday (2 June) parking in Venray is free. On Friday and Saturday (31 May and 1 June) some parking zones are free but others are not. 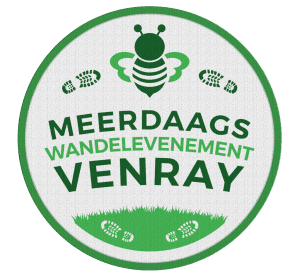 More information about parking in Venray is available on this website: https://www.venray.nl/parkeren-venray. Here you can download a city map with the so-called blue zones, free parking zones and paid parking zones.